One size fits most teenagers and adults. 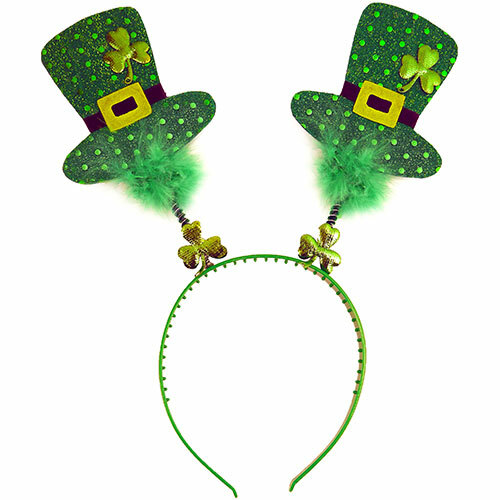 Features a plastic headband, two felt leprechaun hats with metallic dots, two shamrocks and two fur details. The hats are attached to the headband by metal wire springs.